The Anastasia Beverly Hills Glow Kits are some of my favorites and Moonchild completely changed the highlight game for me. Then, ABH released Aurora and my head almost exploded. Once I got that under control, I ordered it and now that I've had it all over my face, pretty much every day since I got it, I'm ready to share my thoughts with you. When I first heard Aurora was being released, I was excited but apprehensive. When I first saw it, I thought it was going to be way too dark for me and the other colors would be too similar to the shades in Moonchild. Fortunately, I was wrong on both accounts. When I received it, I immediately fell in love with the packaging. It's absolutely gorgeous. It's also the same size & set up as Moonchild. The powders are super soft and blendable. They're smooth and really meld into the skin; they look more wet and metallic, which is what I prefer. There is some glitter in a couple of shades, but I don't find that it actually sticks to your face, it just falls off of your brush if you tap it off. If you love Moonchild, you'll love Aurora. It's definitely worth the $40 and I'll definitely be using it often. I've taken pictures of them side by side so you can see how truly different they are. 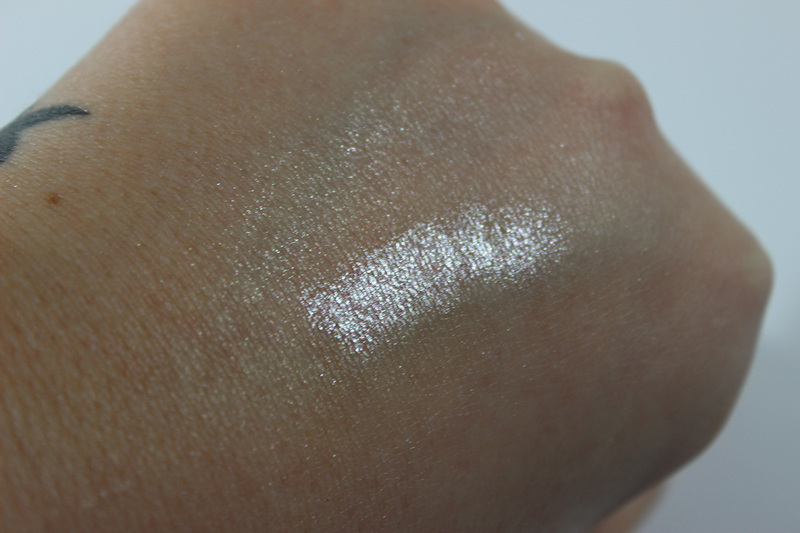 I'll also link my review of Moonchild so you can see swatches of it as well, in case you're interested. It will be available in Sephora soon. Overall, I'm in love with Aurora, but I think that's obvious. I love a good duochrome highlight, and this palette is no exception. I'm still obsessed with Moonchild, so I love having them both to work with. They'll be Spring & Summer staples for me. You can find it on Anastasia's website. What do you think of the palette? Thanks for reading! We all know I'm obsessed with highlighters of all kinds, anything duochrome, and Makeup Geek products. So, it's kind of surprising that I didn't have the duochrome highlight powders sooner, but the one that really caught my eye was Moon Phase, and anytime I'd go to buy it, it would be out of stock. I finally got my hands on Moon Phase, and I wanted to show it to you because it's so pretty and I'm totally obsessed. The packaging is gorgeous. I love the gunmetal case, it's so sleek and pretty. It has the Makeup Geek logo embossed into the front. It's shiny, so it picks up finger prints easily, but as I said, it's shiny so it's also easy to clean. In the pan, it looks extremely unimpressive. It looks like a plain white powder with a pretty design pressed into it, but don't be fooled! Moon Phase is described as an icy blue and purple duochrome in a translucent base. It leans a little more aqua than blue to me, which is what I was looking for. It was very hard to get a picture of, but I really tried. I'll definitely be doing makeup looks with it and posting them on IG. If you've used the foiled eyeshadows, the formula on the highlight powders is the same, so they are pretty pigmented. It's still easy to apply them sheerly, but it's also easy to make them intense, and I really love that about them. Overall, I'm in love and it's exactly what I was hoping for! I can't wait to use it more and to post some looks with it! These retail for $20 on the Makeup Geek site. Thanks for reading! I'm a little obsessed with highlighting lately, especially if it's a duochrome or colored highlight. I've been obsessed with the Anastasia Beverly Hills Glow Kit in the shade Moonchild since it arrived on my doorstep. What it was missing, in my opinion, was a light lavender shade. So, I filled that gap with the Colourpop Super Shock Cheek Highlight in the shade Hippo. Hippo is an icy lavender shade and I'm kind of obsessed with it. It's the same creamy, mousse texture as the eyeshadows and applies best with your fingers. This melts right into your makeup and works perfectly over powders. It can be applied sheerly or layered for a more noticeable effect. I'm pretty in love with this and definitely recommend it. As soon as Anastasia Beverly Hills showed the Moonchild Glow Kit, I knew I had to have it. It includes 6 shades instead of 4, all of which are beautiful colors with a duochrome. Every time I swatch the palette, I just think of how much the colors resemble an Opal. It's just gorgeous. You may look at the 6 shades in this palette and opt to not buy it. It won't appear wearable to some, but it is! I've been wearing it every single day since I got it and it's just so pretty. The powders are so soft but don't kick up a lot when you dip your brush in. They're not heavily pigmented, so you can apply this softly for a subtle effect or apply it a little heavier to get than ethereal glow. The colors are absolutely gorgeous and it's really hard to capture just how pretty they are. The swatches I did are heavily done to show the color as the colors barely show in the pan. You may think that you don't need this palette, that the colors aren't for you, but you'd be wrong. You do need it. The obsession with highlighting has been taken to a whole new level. There are so many new products released every day and it's difficult to try them all, but I'm giving it a shot. We've reached a point where the majority of us have a common goal, to blind our enemies with our highlight. Don't get me wrong, there's nothing wrong with that and if you can't see me from space, I didn't try hard enough. Today I'm going to share another product with you to help you on your journey to do the same. 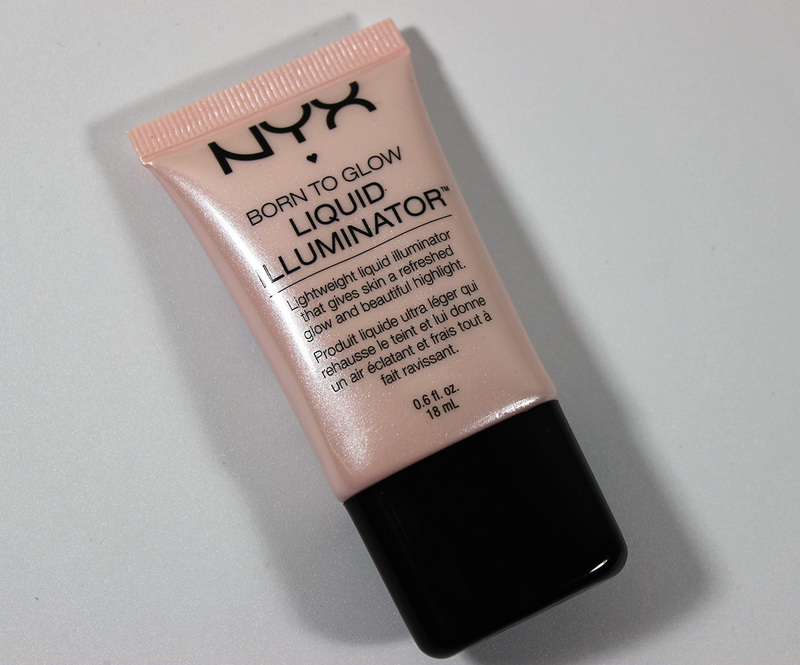 The Nyx Born to Glow Liquid Illuminator is not a really new product, but it's new to me. I always passed over it and assumed it wasn't for me, until my most recent Ulta trip. I decided to go ahead and swatch them in store and I was kind of blown away. I'm always weary of liquid products, but decided to bring one home with me and I am so glad that I did. I picked up the lightest shade available, Sunbeam. It's a gorgeous pearl-toned color, just wait until you see the swatch. This is very liquid-y as the name suggests, and I've applied it a couple of different ways. I've mixed it with my foundation to make my foundation even more glow-y, which worked wonderfully. I've applied it over my foundation with a beauty blender and also over powder with a beauty blender and no matter how I applied it, it looked gorgeous. It didn't cake up or pick up my foundation, it blended well and sat perfectly on top of the powder. The pigmentation is insane so you'll only need the tiniest amount. If you're trying to get a super intense highlight, you need this. You can even put a highlight powder on top for even more intensity and it's insanely gorgeous. Not to mention, it's super inexpensive and comes in other shades if the pearly glow isn't for you. It also comes in Gleam, a golden peach tone, Pure gold, a gold tone, and Sun Goddess, a bronze tone. I definitely think I'll try Gleam next! As I mentioned, you can find these at Ulta for $7.50. You can also get them on Nyx Cosmetics website. 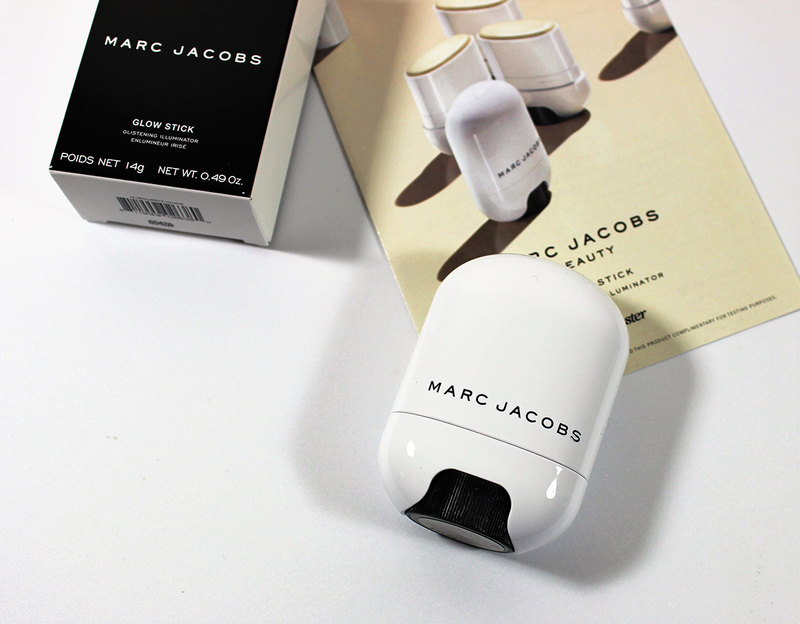 I received the Marc Jacobs Glow Stick Glistening Illuminator in a Voxbox from Influenster. Before receiving the box, I had heard very little about this product, which made me even more intrigued. I don't know if you know this about me, but I'm very, very picky about cream and liquid products and for that reason there are very few that I like. But I actually ended up liking this one. This Glow Stick is a unique tone. While most highlight products are cool or warm toned, this is neutral. It's a mix of gold and silver that leaves a pretty, pearly sheen anywhere it's applied. I find this can be intense or subdued, whichever you prefer. I like an intense highlight, so that's how I use it. In case you were wondering how you're supposed to use it, you're supposed to use a brush or beauty blender to pick up the product and place it wherever you'd like it. I use my Beauty Blender for this. The packaging on this threw me off a bit, to be honest. It definitely looks like a fancy tube of deodorant, even when you open it up. Fortunately, the product inside is awesome. So, to sum it up, yes I love this highlight. 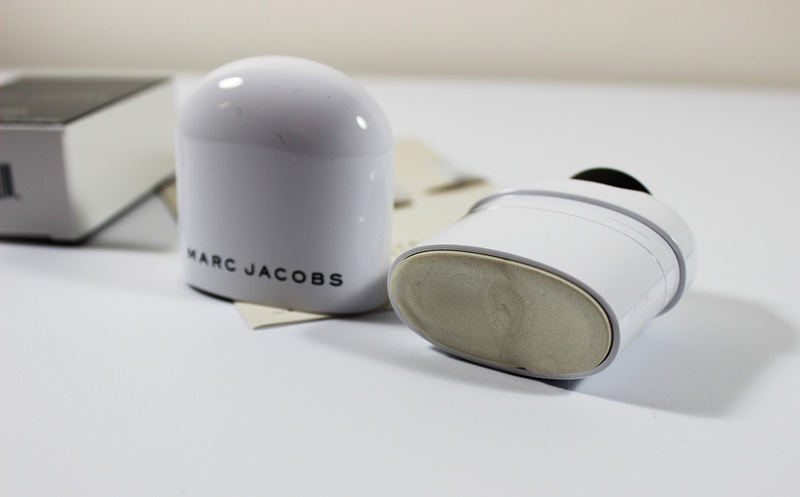 The Marc Jacobs Glow Stick is great for those who love cream highlighting products. It's absolutely gorgeous and I'll continue using it. I have put off buying any highlight powders recently because there are just so many, I couldn't decide which one I wanted to pick up. I finally caved and used the gift card I've had for Macy's since Christmas to grab the Anastasia Beverly Hills Glow Kit in the shade Gleam. I almost grabbed That Glow instead, but I thought it looked a little dark and I already have a few gold/warm toned highlight powders, so I chose Gleam instead. Hard Candy : a golden peach/pink duo chrome. When I first received this palette in the mail, I contemplated returning it. Granted, this was before swatching it. When I first opened it, it looked so dark. Hard Candy and Starburst looked like they could be blushes to me and Mimosa looked SO gold. I thought there was no way I could use these colors. But I went ahead and swatched them and I'm so glad that I did. Upon swatching them I realized that they aren't dark at all, and they're super metallic and reflective. I love a strong, dramatic highlight and these can achieve that with little effort. I like to layer them with a cream highlight to make them even more intense. That's not to say you can't have a light, sheer highlight with these colors, because they're super easy to blend and sheer out. The quality of the powders is really nice. They're soft but not so soft that it kicks up too much and makes a mess. They aren't chunky and the aren't glittery, just metallic and gorgeous. Plus you get 4 pans for the price you'd pay for one shade from some other brands, such as Becca. Overall, I don't think I could be happier with this palette. I absolutely love it. I'm trying to refrain from picking up another one in That Glow, but it's so hard not to buy it! On that same note, I'm also trying to avoid the Jeffree Star Skin Frosts but Ice Cold is speaking to me. I need help. You can pick up the Gleam Kit for $40 at Macy's, Ulta or the Anastasia Beverly Hills website. It's truly a steal. I just posted about a new contour palette from IT Cosmetics, but if you're not into contouring, maybe you'll prefer "strobing". Really, all that strobing is is a fancy word for highlighting. So today, I'm going to share a product with you that you can use for that purpose! 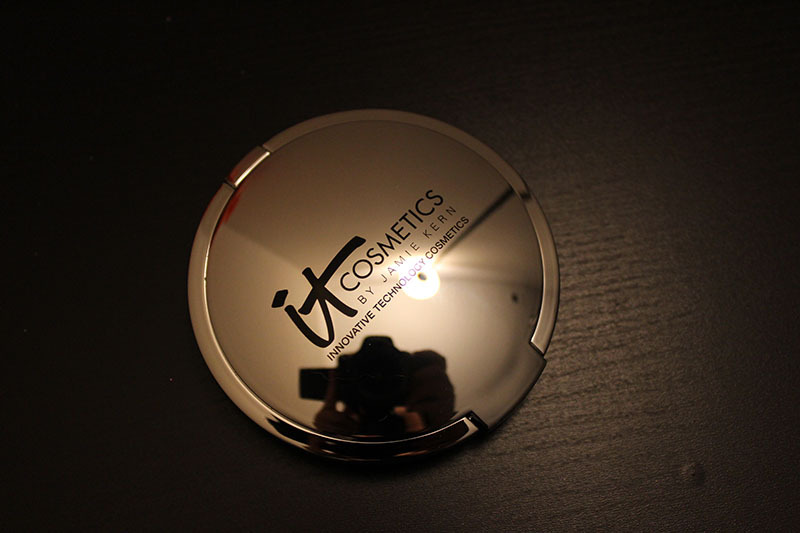 The IT Cosmetics Hello Light Anti-Aging Creme Illuminizer is the perfect highlighting/strobing product. This will give you a beautiful, natural glow that isn't too much. 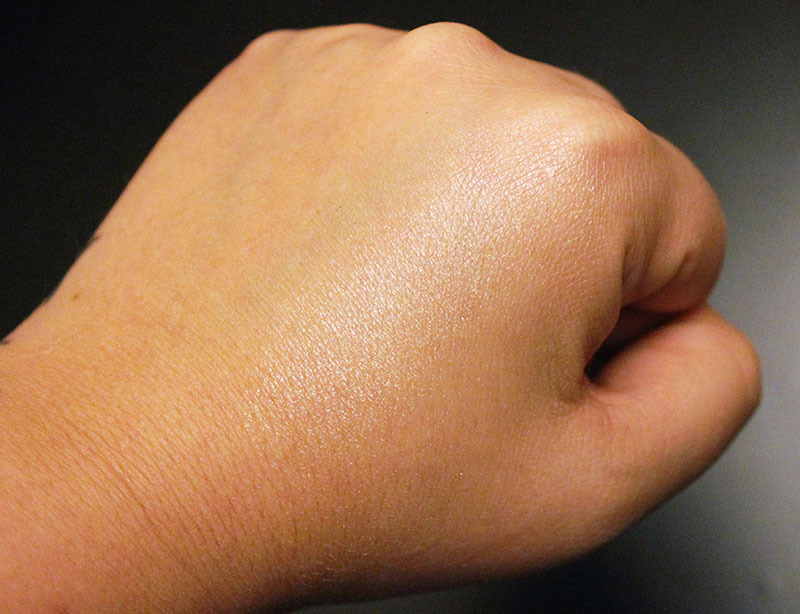 This highlight is a very beautiful, universal shade. It's fairly neutral in tone and just gives a gorgeous, natural sheen. This has a pink tone with a slightly light gold sheen. It's really hard to explain but really gorgeous when applied. It's of course infused with skin hydrating and anti-aging ingredients such as Peptides, Hyaluronic Acid, Hydrolyzed Collagen, real Silk and antioxidants. Together, these ingredients hydrate and give you a gorgeous "lit from within" glow. It's of course free of Parabens, Sodium Lauryl Sulfate, Mineral Oil, Petrolatum, Synthetic Fragrance and Phthalates. As the title suggests, this is a creme highlight, which not only looks more natural but diffuses the appearance of pores and fine lines. 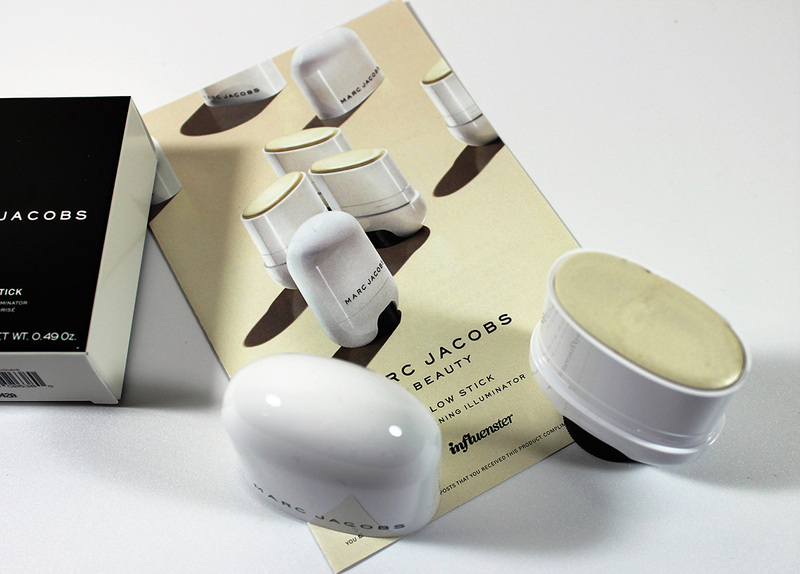 It's easy to apply with just your fingers, and doesn't seem to move your foundation around when you apply it. This is the perfect product to place on the tops of your cheek bones, brow bone, inner corner, cupid's bow, right above brows and down the center of your nose. It's very natural, and if you're looking for something with more of an "in your face" shine, I recommend layering a highlight powder over it for maximum pop. My current favorite it the lightest shade in the Ombre Bronzer and it pairs nicely with this highlight. 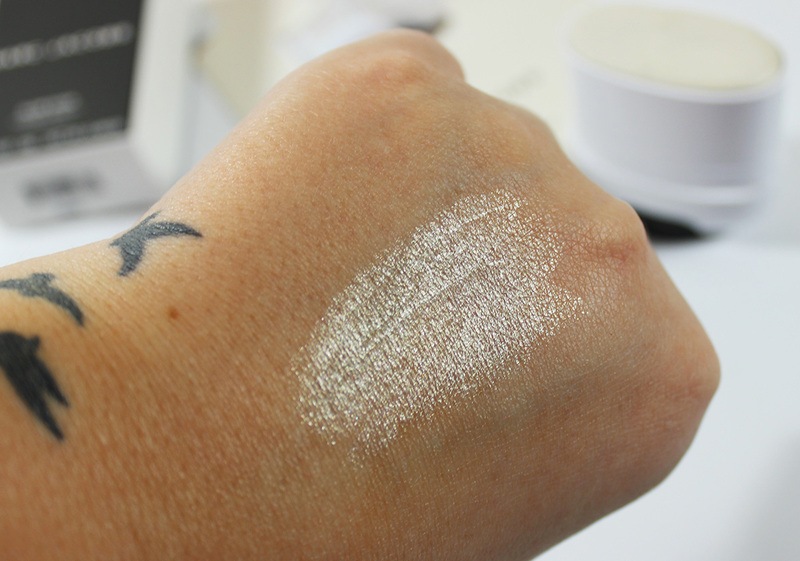 If you're looking for the perfect creme highlighter, this is one I recommend trying! It's just so pretty! Apply a highlight powder to the tops of the cheekbones, brow bone, inner corners, cupid's bow. Apply a shimmery shadow to the lids. Use a really shiny or shimmery lip gloss. Here's a few product recommendations. 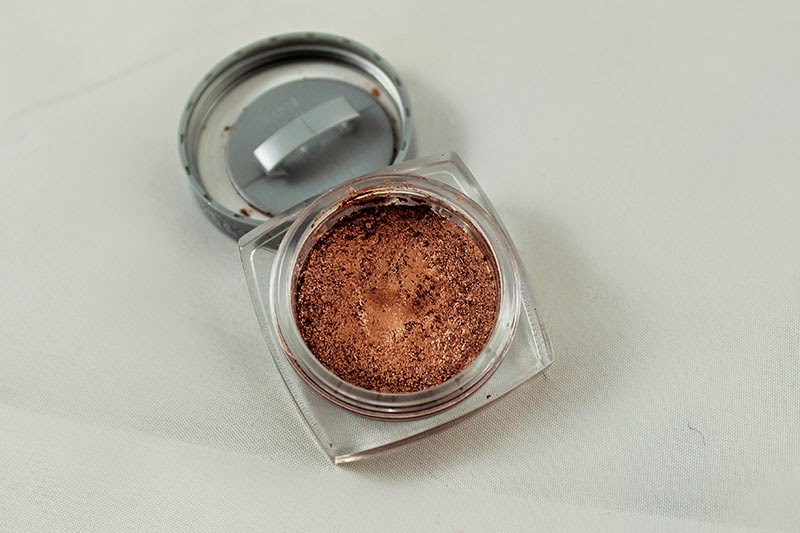 L'oreal Infallible Eyeshadow in Amber Rush. This is a perfect lid color for summer. So metallic and beautiful! 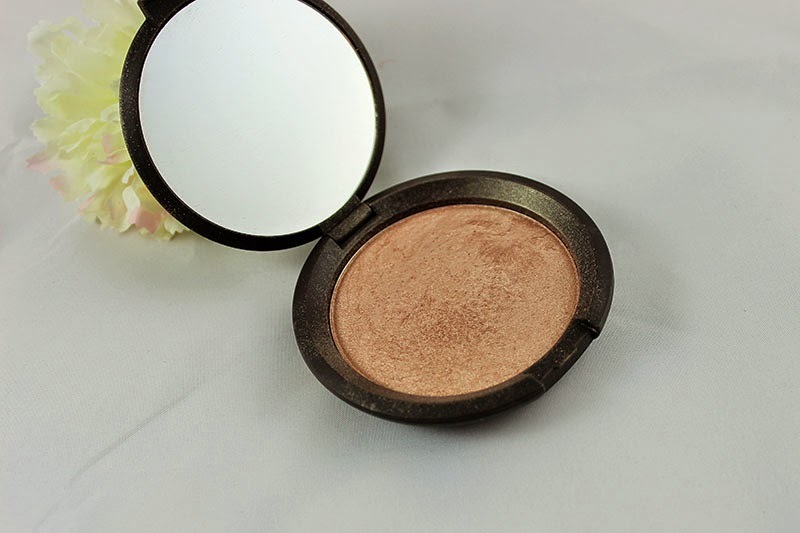 Becca Shimmering Skin Perfector 'Opal'. 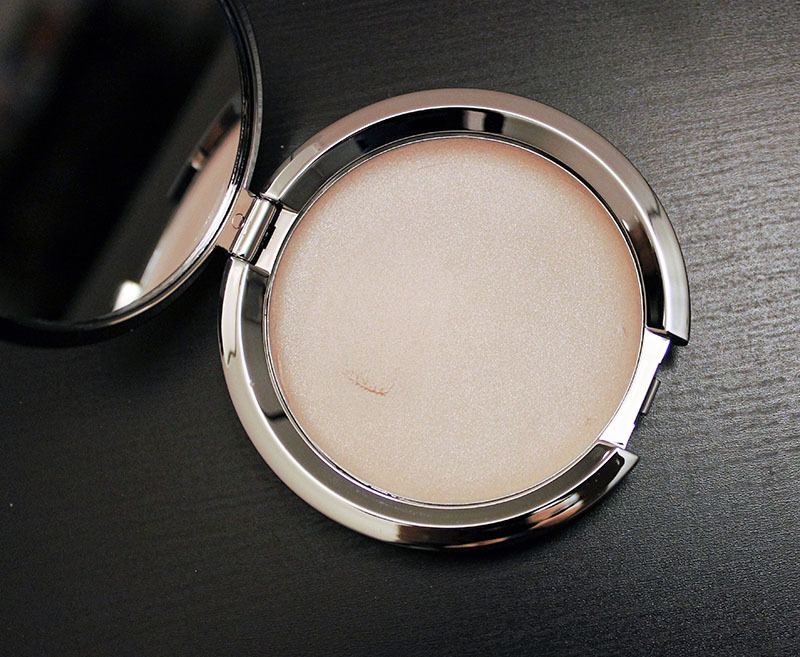 This is the absolute best highlight powder. It's perfect for that golden, beautiful glow. Too Faced Sun Bunny Bronzer. 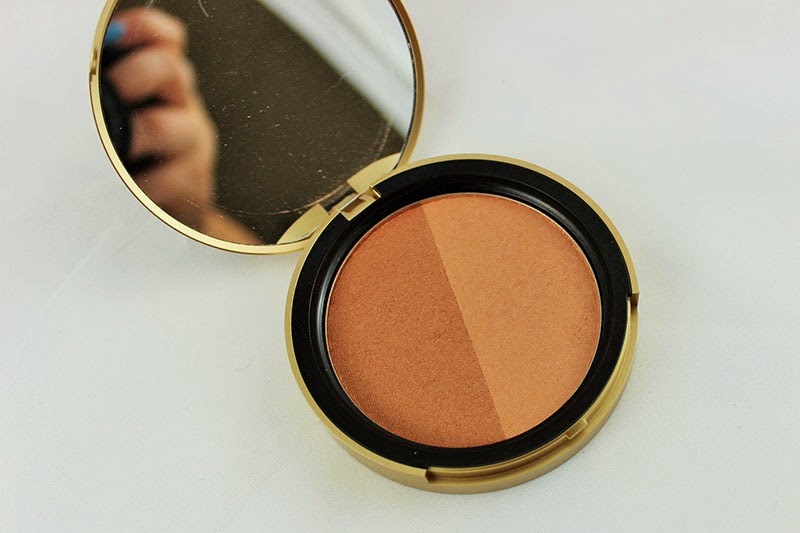 This is the perfect natural, yet luminous bronzer. I know I already showed a Becca Highlighter, but this is the gel version. It's perfect to apply before the powder version if you're looking for a more intense glow, OR you can use this on your collarbones and it looks amazing! Bare Minerals Tinted Hydrating Gel is the perfect foundation to get a summer glow. It doesn't offer much coverage, but it evens your skin tone and gives you a glow-y, airbrushed look. Those are a few of my recommendations for achieving a summer glow. I hope this was helpful!